The first Porsche was built on the 8th of June 1948. Today the Porsche brand is one of the best-known cars in the world and they are among the most prized sports cars in the world. 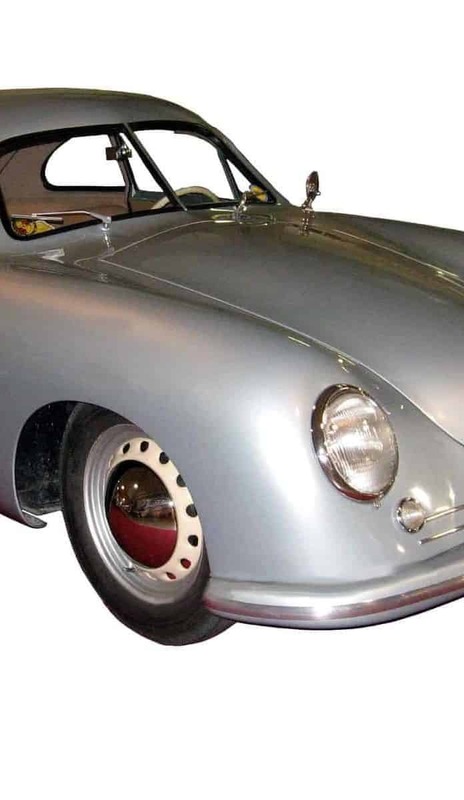 The car was built by the Austrian engineer Ferdinand Porsche who had been working on the car for many years. The engineer had earlier been arrested for war crimes by the French and had just recently been released from jail. Porsche had been employed by the Nazis during WW II. In 1931 Porsche had found his own company. He had regularly been employed by the Nazis. He had helped to design the early Volkswagen’s, and is well known as the designer of the famous Volkswagen Beetle. Ferdinand Porsche also designed tanks for the German army during the war. When Porsche was released from prison, he was in great difficulties. Germany and Austria were in ruins and he was unemployed. Desperate for money he was forced to build a race care an Italian racing enthusiast. and industrialist. This money allowed him to help his family and to get his father out of jail. While he was working on the car he also began working on a car that he had long dreamt of building. He built a new sports car that would actually have the Porsche name. the car that Porsche build was the Type 356. The new car was much influenced by earlier Porsche-designed race cars such as the Cisitalia, from the 1930’s. The Porsche design was truly revolutionary. This was partly because the engine was placed mid-chassis, ahead of the trans-axle. Porsche cleverly used with modified Volkswagen parts and components, which was later to lead to a lawsuit. The 365 had a top speed of 130 miles an hour.The new Porsche car the 356 went into production during the hard winter of 1947-48. It was difficult to manufacture in post-war Europe because of the shortages caused by the war. Porsche and his team built the car in an old factory with only limited tools and materials. The first 365 prototype had an aluminum body, built entirely by hand and was completed on June 8, 1948. Porsche and a small band of mechanics built the car. While working on his new car, Porsche went to work for Volkswagen. The German company subsequently hired Porsche to work on some of their projects. With the proceeds from his consultancy work, Porsche opened new offices in the city of Stuttgart. At first, the Porsche care was built in Porsche’s native Austria, but from 1950 it was built in Germany. growing demand for the fast and powerful cars that were built by Porsche. Over the next twenty years, the company would build more than 78,000 sports cars and they were sold worldwide.The Porsche 365 was to be the first of many Porsche care to be build. Today, the 365 is seen as a classic car and the surviving models are regularly sold for millions of dollars.